I’ve been on a wellness journey over the last year after going into heart failure. It has led me to learn to heal my body with the best vitamins and supplements so my body can repair itself. This led me to seek out the best vitamins and supplements brand with the cleanest and purest ingredients. I found one that not only exceeded my expectations but also offers their products at affordable prices. I’m blown away and excited to share it with you! Before I dive in and tell you about my favorite brand for supplements, beauty products and health foods, I want to touch a little bit on why I believe in healing naturally. I am a Registered Nurse and well versed in the medical science behind western medicine and it’s approach. For many years I thought strictly in terms of prescription and over the counter medications and treating symptoms. My health journey that resulted in me being in heart failure started as an innocent yeast infection. After being prescribed an antifungal medication to treat that small (the size of a quarter) rash it quickly grew worse and resulted in six months of pain and struggling to control it. One day I woke up and the lower half of my body was completely swollen to the point that I could no longer see my joints. Being a Registered Nurse, I immediately knew something was very wrong and that this problem pointed to a problem in my heart with fluid backing up into my lower extremities. My husband came home and quickly drove me to the emergency room. I spent the day undergoing test after test. I had everything from an echocardiogram (ultrasound of my heart) to a CT scan to an EKG and on and on. They threw every test they could at me. My blood work indicated that I was in heart failure and they were racing to figure out why an otherwise healthy young woman was in heart failure. They were stumped for a majority of the day. It was finally discovered that my heart failure was a side effect of the antifungal medication I was on and that not only could it cause heart failure, but people had also died of it. Obviously, this is extremely serious and though we all hear the warnings of the side effects of prescription medications I believe we have become immune to hearing it and we think it won’t happen to us. I certainly wasn’t worried about the side effects of a common prescription medication. I was immediately removed from that medication and doctors hoped my heart failure would reverse on its own and had no information to tell them if it would or not. That was a waiting game and remained to be seen. In the meantime, I was still dealing with a very serious yeast/fungal infection that had never gone away so while taking me off the medication would hopefully improve my heart function, the yeast issue still needed to be dealt with. Doctors weren’t entirely sure what to do with me and offered me no solutions. That is what ultimately led me to seek out a naturopath in hopes that he could help me in ways that the doctors couldn’t. When I arrived at his office he couldn’t believe just how sick I was. Long story short, through major diet changes and supplements I was able to completely heal and reverse the heart failure and take care of the yeast/fungal issue I had been dealing with for over 6 months at that point. I was able to see extreme improvements in as little as three weeks. This stunned me as a nurse because I had been following the doctor’s advice to a T for over 6 months with no improvements (and I actually got much worse). To see someone be able to lead me in a direction of healing without any prescription medications or medical interventions was eye-opening and inspiring. I discovered that while traditional western medicine can be very valuable, holistic medicine is overlooked and that is to our detriment. We need to merge the two and look at our bodies abilities to heal themselves with the proper diet and supplements. Obviously, most people will not undergo such extreme circumstances as I did, but I hope my story inspires you to look further into ways to naturally heal your body without prescription medications. Look at healing the root cause of the problem rather than treating a symptom. Our bodies really are amazing! After discovering the power of feeding my body what it needs I went on a journey to find the purest, cleanest supplements I could find at a price I could afford. In the course of my healing, I spent thousands of dollars on supplements and I knew that in order to sustain that course I would need to find clean, effective supplements that were offered at a value price point. I thought I was looking for a unicorn and I really was, but I found one! NOW is celebrating 50 years as a trusted natural products manufacturer, and is dedicated to providing customers with a comprehensive approach to wellness by offering more than 1,400 high-quality, natural and affordable products. NOW Foods manufactures vitamins, supplements, essential oils and health foods. In my search for quality supplements their brand often popped up in my search results but with such affordable prices, I was skeptical of the quality and purity of their products. How good could a product be when it was cheaper than the other alternatives on the market? Well, after touring their factory and learning more about their brand, my question has changed to; “why is the competition charging so much?”. With a 100% to 300% markup on this niche of products, there is a huge margin of profit on these products. NOW chooses to keep their prices low and their quality high. They’re a family-owned company and this has always been their mission. Sounds great, but I was skeptical. I’ll show you what changed my mind and left a big impression on me. 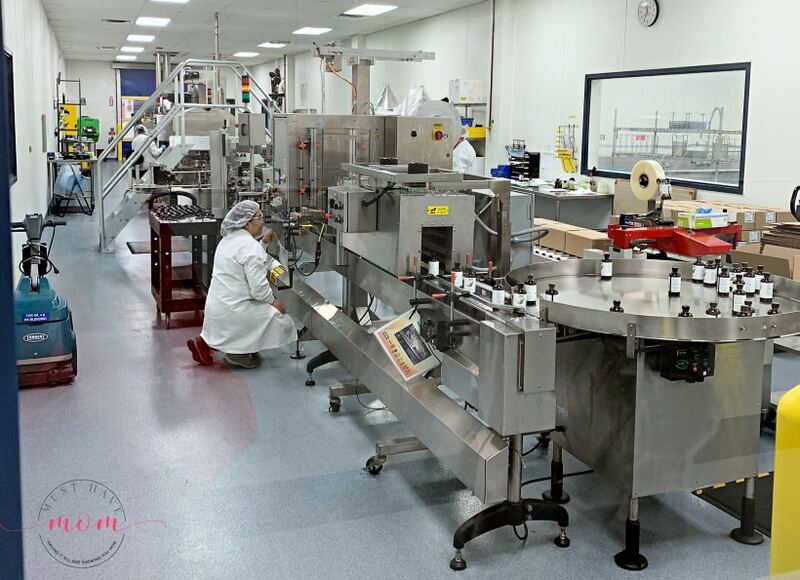 I was SO excited to receive a tour of the NOW foods factory where their supplements, essential oils and other products are made. It was very interesting and more importantly, very informative. 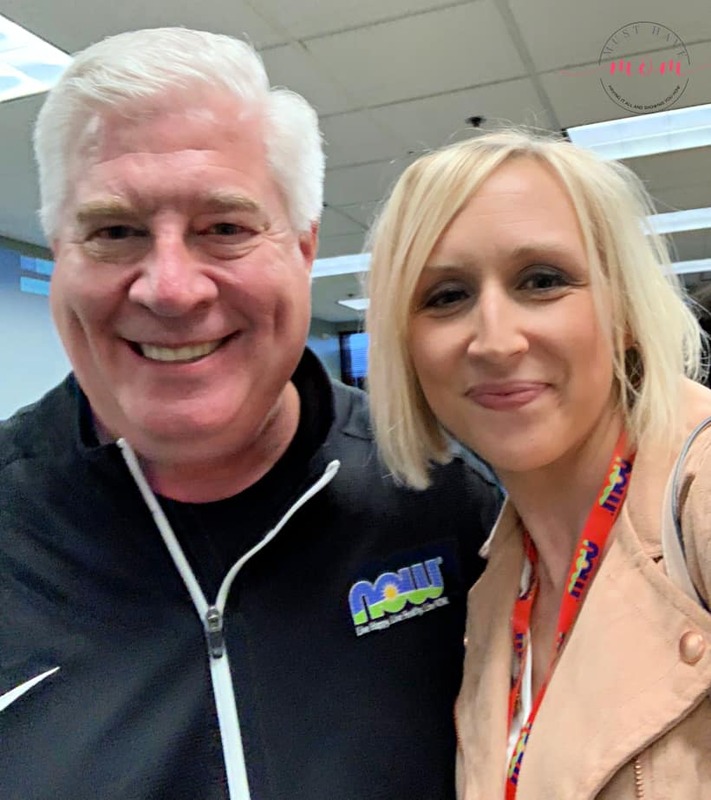 We were flown into Chicago and the first night was spent with the NOW CEO and several other NOW employees at a cooking class where we competed Iron Chef style in a cooking competition. I’m happy to report that my team took 3rd! Woohoo. The next day we were taken on a tour of the NOW factory and were able to learn more about them as a company. The CEO (pictured above) actually spent a ton of time with us which really impressed me. I’ve been on plenty of brand-sponsored trips where the CEO rarely bothers to pop in and say hi, much less spend two days with us! That in itself spoke volumes to me. He truly is the most down-to-earth guy and he’s so transparent. He struck me as very trustworthy and easy to relate too. He gladly answered all of our questions and didn’t attempt to hide anything when asked hard questions. 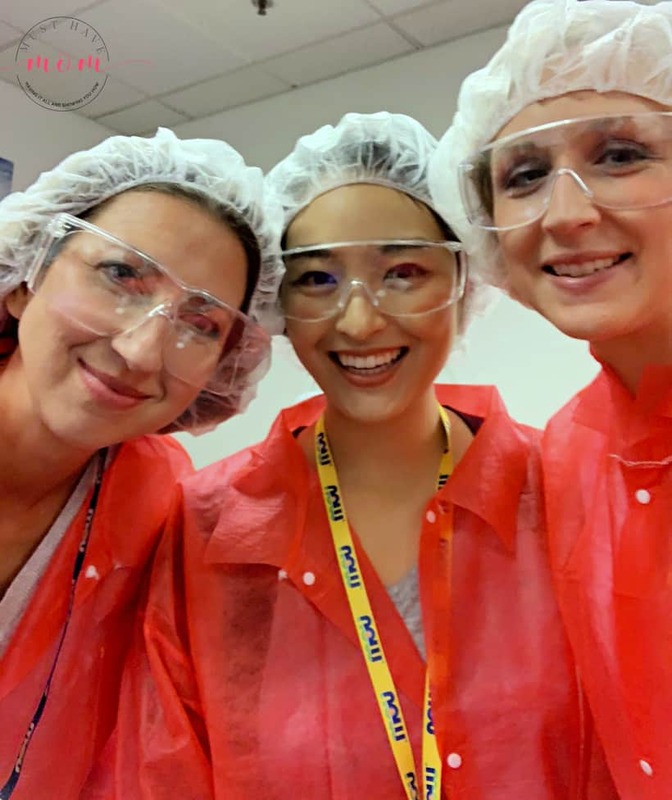 For our tour of the factory, we were required to watch a video first and then garb up in protective gear to preserve the cleanliness of the factory. Aren’t we cute? We then were taken into the factory and began in the receiving area. This is where they bring in their raw ingredients sourced from outside suppliers. 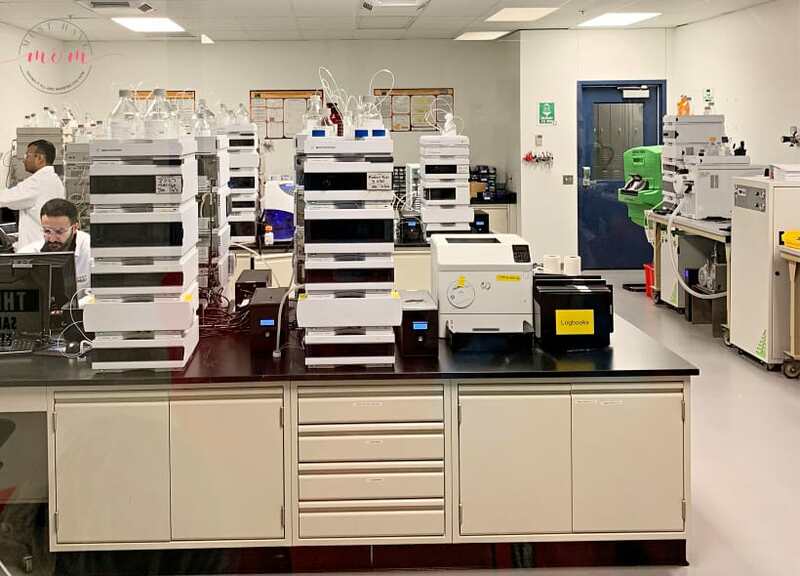 We were able to see how everything goes into quarantine until the NOW labs have been able to test each product to ensure it is the correct product and is free from any contamination. 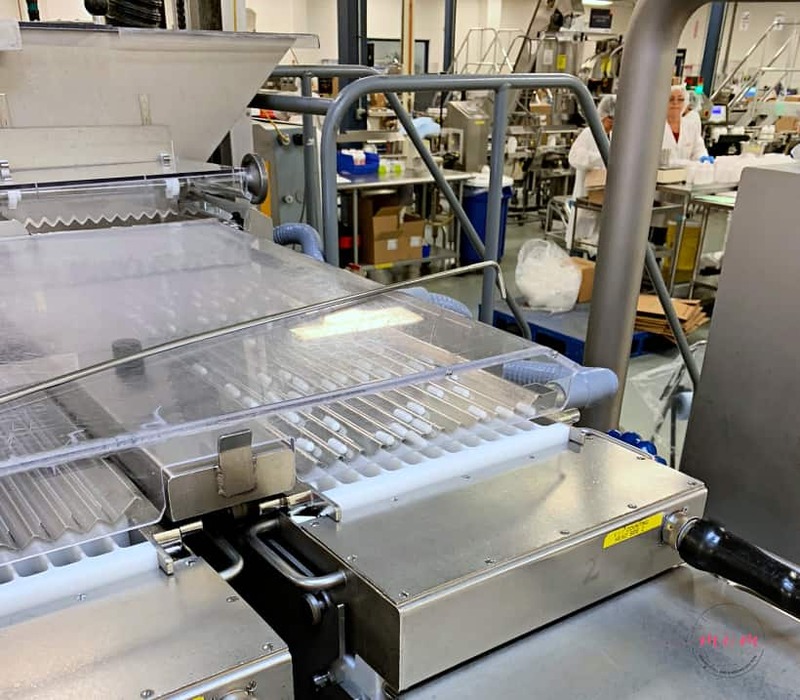 Once they are able to confirm that the product is what it says it is and is free from any contaminants, the product can leave the quarantine area and begin it’s journey to being used in production. After leaving the receiving area we made our way through many of the labs and were able to see firsthand how they test raw materials and finished materials and even work on developing new products. One thing that really blew me away was the amount and quality of the laboratory equipment and staff they have on hand. NOW’s Quality Control and Quality Assurance programs are really what sets it apart and make it a trusted natural products manufacturer. Despite what many in the media are saying, the supplements industry is regulated, and NOW goes above and beyond what is required to ensure it brings pure and effective natural products to market. They have about $100 million laboratory facility there that is used to ensure that what the label on the bottle says, is what is inside the bottle. And one step further, that it doesn’t contain anything else that it shouldn’t (think metals, GMO’s, pesticides, etc). All of their products are non-GMO and many bear the Non-GMO Project label. Their aim is to have that label on all of their products eventually as the process takes time. They test and test and test some more until they are certain that their product is pure and their claims are true. They stand behind everything they produce and test more than necessary to ensure that they put out the very best product. They have 200 staff employed for the laboratory facilities alone! That is a lot of genius in one factory. The amount of testing and extent that they test was beyond impressive to me. They even go as far as testing their packaging in special chambers to see how it holds up in the worst circumstances and how the product inside fares. They test their products and they hold them and re-test them at different intervals to determine when the product loses effectiveness which then determines shelf life. They test so much. I wish I could tell you more as I could talk about all of the testing they do but that would be an entire blog series. NOW also makes high-quality essential oils and even has several organic essential oils in their line up. We were able to see the oils being bottled and we later tried them out and made some fun essential oil recipes. 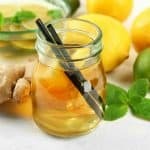 You can find a ton of really good essential oil recipes on their site. We made a divine facial mist to moisturize our face during our travels and we made a really relaxing bath soak. 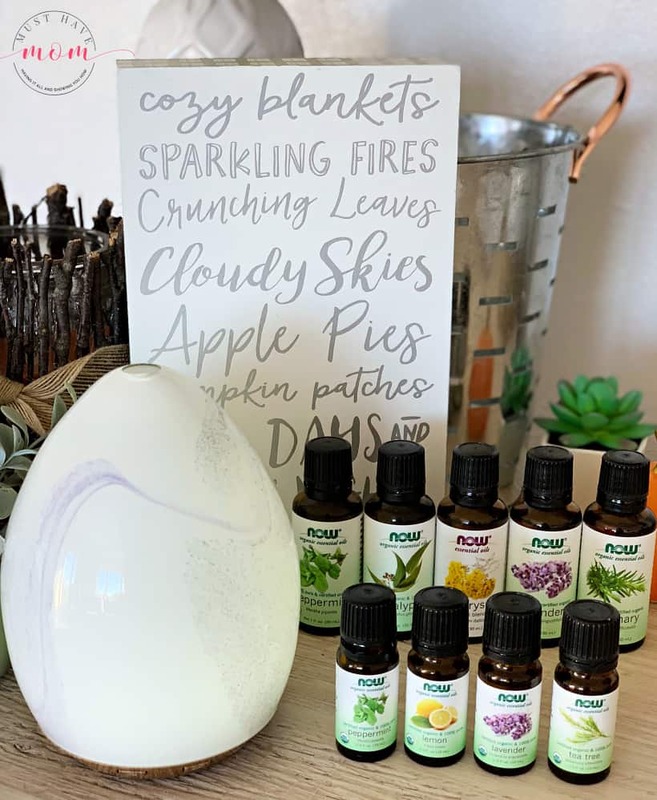 I was really impressed that NOW offers high quality, pure essential oils for far less than you see most oils priced at. You can even get organic oils which most companies don’t offer. They source only the best ingredients and ensure they are free of pesticides and anything else that doesn’t belong in your oil bottle. I love their gorgeous diffuser too! NOW also makes a vast line of health foods which you can find at your local health foods store. I love so many of their products but I’d highly recommend you try their coconut oil infusions butter flavor (non-dairy) and their Better Stevia products. Most stevia products are bitter and leave a bad aftertaste, however, NOW Better Stevia doesn’t! It’s the BEST stevia and even people that don’t like stevia like Better Stevia. Try it, you won’t regret it! 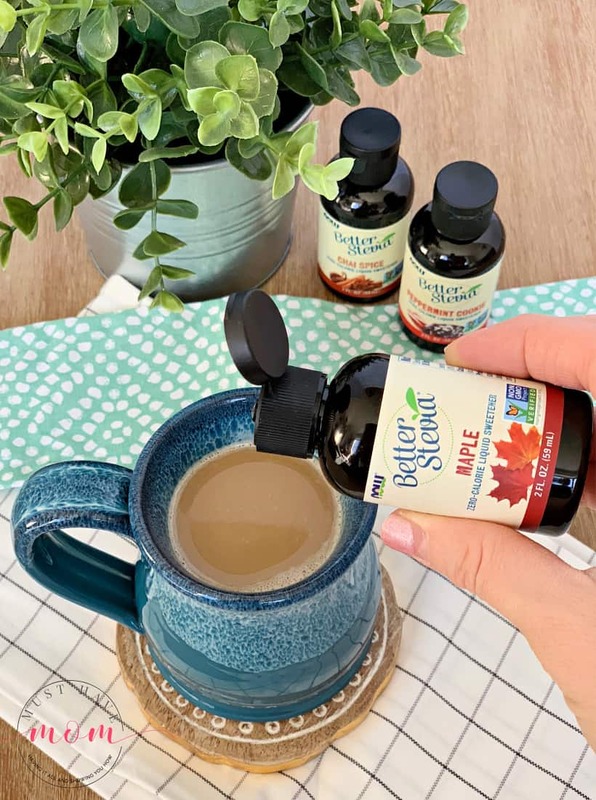 I am absolutely in love with Better Stevia Maple in my coffee. I have an obsession with maple this fall and it is just perfect in my coffee. SO good! 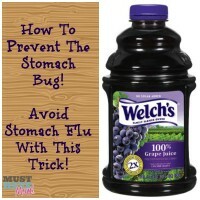 They have such a huge variety of food products that you really must try! They are dedicated to producing non-GMO products for consumers at an affordable price. NOW also has a robust product line up in their sports division. They also do extensive testing on ingredients to ensure they are clean, pure and free of any banned substances that athletes may be concerned about. They have several products that are third-party tested on every batch to ensure there are no banned substances in any trace amounts or otherwise in their products. I was so impressed with that! I honestly could go on and on about everything I was able to see and learn at the NOW Factory and headquarters. I am so impressed by their quality, commitment to their employees and their entire culture. They really are a family owned business and they treat their employees like family too. They don’t believe in layoffs and they offer profit sharing to all of their employees as well. It’s really a family owned and operated business that treats people like they’d want to be treated. I can’t say enough good. The real testament is always in the pocketbook though and I will absolutely put my money where my mouth is and buy NOW products whenever they are a choice. Being able to have the peace of mind that I’m getting a pure product that is what it says it is, is worth gold. Luckily, they are a value brand so I won’t have to part with much money to use them. Next time you look at NOW products and wonder why they are so cheap, instead ask yourself why their competitors are so expensive. Visit NOW’s 50th Anniversary Page here to learn more about their story, quality products, advocacy in the natural products space, family promise, and more. I was gifted a huge swag bag worth over $500 from NOW which is pictured above. They are generously offering up a second swag bag with the same contents for a lucky reader! Enter to win below. One more way to win! To celebrate their 50th Anniversary NOW is saying “thank you” to everyone who has made NOW a trusted partner in their wellness journey with the “Celebrate NOW” Instant-Win Game, where YOU can have a chance to win 50 – $10,000 prizes. How? NOW is producing one million supplement bottles across 50 SKUs with special gold caps. If you find a golden ticket inside one of these gold-cap bottles, you instantly win $10,000 (upon meeting eligibility requirements and prize verification). Check here for more details about the Game, including Official Rules, a list of eligible products, and alternate means of entry. I haven’t tried NOW products yet but I’d love to! I have seen them on the shelves of my local grocery store in the Natural and Organic Foods aisle. Sorry, forgot to say that I’d be very excited to try the essential oils, especially clove! Love that scent. 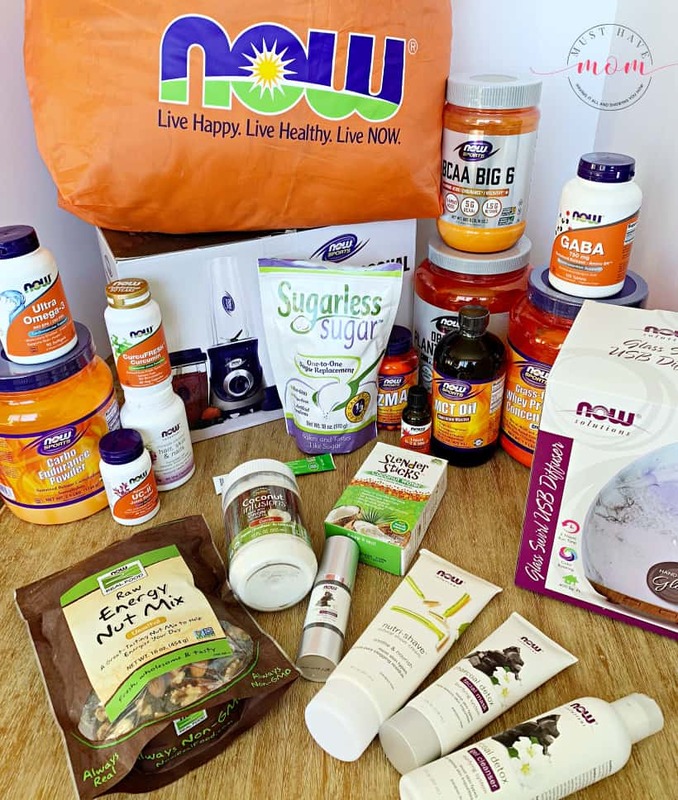 I’ve never tried NOW products – but I’m very intrigued to check them out – they looks awesome – thx for the great giveaway! I have tried their avocado oil and jojoba oil for my face. I currently am using their elderberry syrup. Its one of the few that don’t have added sugar. Oh I love the jojoba oil for my face as well! Good to know about the elderberry! Would love to try the products!! They sound amazing!! 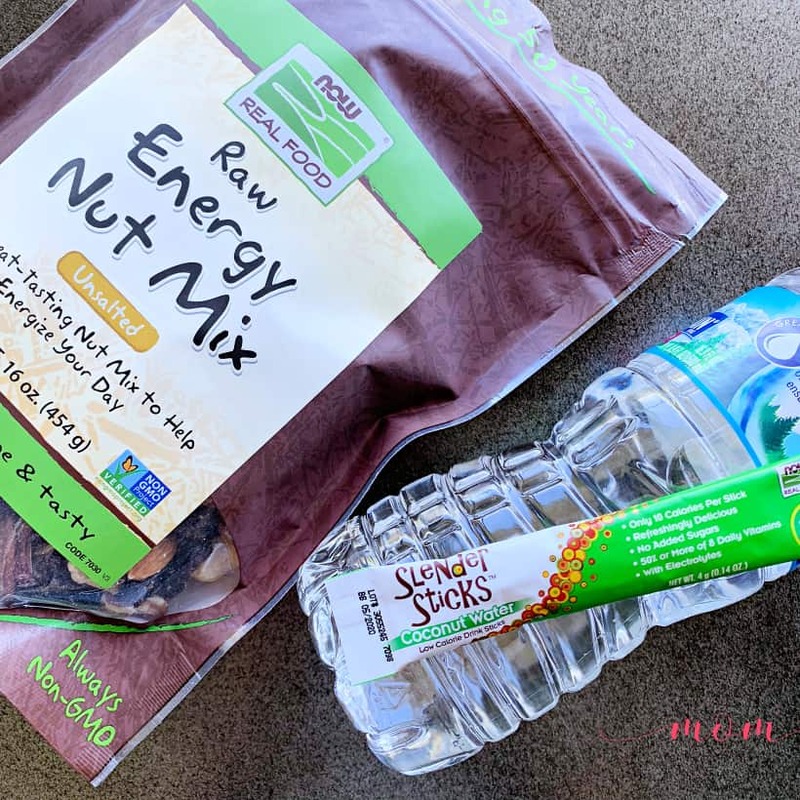 The Raw Energy Nut Mix. Yes, I like their quinoa pasta and coconut oil. I think the nut mix is my favorite though I don’t think I ever tried any of it. Thanks so much. I’d love to try their essential oils and diffuser! I have used several of their products (Omega 3’s) and I would like to try the Beet Root Powder. Yes, the beet root powder is one of their new products and was sold out right away. I know they’re working hard to get it back in stock though! I have tried a lot of NOW Foods products. I am very lucky to have a local homesteading store that carries a wide array of their products. I have calendula I grew infusing in NOW Foods Brazilian nut oil to make salve and I am diffusing Nature’s Shield in one room and patchouli in my bedroom, my house smells divine right now. Oh that sounds amazing! I love their Smiles for Miles oil for diffusing too! Wow, this place was really cool! I’m glad so much care is taken to make sure the products are quality. That’s important when they’re part of your everyday routine. Your post is so helpful because you did a lot of the work for me. Researching all the different brands and the purity of their ingredients can be really time-consuming! Yes, it is very time consuming! It was so great to be able to see it firsthand! I am super excited to learn about NOW. I don’t know how they weren’t on my radar before, but they are now! My husband was able to go on this trip two years ago. Because of it, we always buy the Now Foods brand whenever possible! That is so awesome to hear! I was so impressed to see it firsthand. It’s an incredible experience. I’ve been hearing a lot more about these products lately. I’m going to have to try these out. It sounds like such an awesome brand. I can get a lot of NOW products at a store just about a mile away from my house. I have never gotten anything I didn’t like. It’s amazing what the side effects of drugs can do to you. We’ve been dealing with a neurological side effect from my son taking acne meds for just 30 days. It’s been a nightmare. I would have loved to do this tour. This looks fascinating! Isn’t it scary? I’m so sorry to hear about your son’s experience. It has definitely changed my view of prescription medications and I’m much more cautious about them. I hope that you find a solution for him. You learned so much during your visit! I’d love to pick up some of these products because of everything you shared! I did! I’m so glad you found it helpful and I hope you give them a try. My husband was looking for some supplements to take. I am so glad that you wrote about this! I will show him this post! Oh I’m so glad this came along at a good time for you! They are more affordable than others and the quality is amazing. Oh I got to try it on my trip and it’s great! I have used their essential oils before, but have never used their other products. I am going to have to go check them out now. Thanks for telling me about this! Have you tried their Smiles for Miles oil? It’s my latest favorite to diffuse. I’m glad I could share about their other products with you! I have not tried the products, but would LOVE to try the sugar free sweeteners! The maple in coffee looks amazing! I’m gonna need to get some of those flavored liquid stevia sweeteners, yum!! I’m so sorry to hear about your difficult wellness journey! I have a few NOW products but would love to try a diffuser with oils. I have yet to try the products, but I always love finding new healthy, and delicious foods! I want to try the energy granola mix! I’ve never tried any NOW products, but I’ve been wanting to. Yes, I’ve tried their vitamins in the past!! Wow I hope you are doing well! I need to find these products! I never know what I am buying when it comes to vitamins! I really havent got to try it but I really have wanted to and I need to. I have got to better my health. I am a single mom and I am who my son depends on. We love NOW products at our house! We use 5 or 6 daily, but the Magnesium Caps are my favorite! I need to try some others! My favorite is their peppermint essential oil, but lavender runs a very close second. 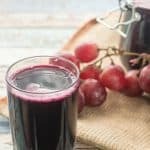 I’m really excited to try their Elderberry products! So far everything I’ve tried has been high quality. I love their smiles for miles oil too! It smells amazing! My Wife loves these products!! Thank You!! I have tried tried NOW foods products and the product that I have used: Ultra Omega 3 Fish Oil and Ubiquinol. 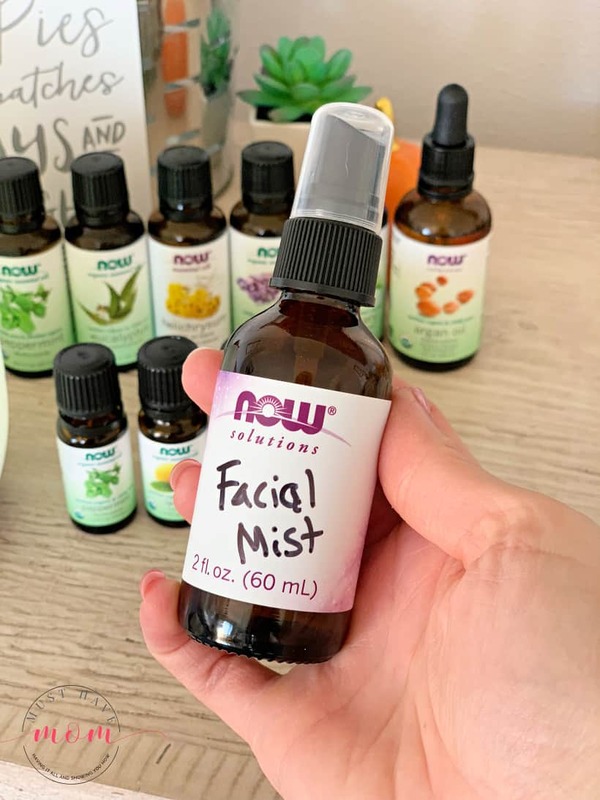 Whenever I buy essential oils, I buy the Now brand. 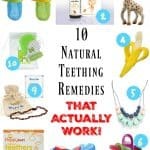 I believe I’ve tried four so far & my favorite has been the tea tree oil. I would Love to try more products!! Oh try the Smiles for Miles or Cheer up buttercup oils. I love diffusing them! I’m a HUGE fan of NOW products!! I’ve tried a few of their supplements and currently have bottles of their Double Strength iron & 1000IU Vitamin D in my daily supplement arsenal! There are so many products I’d love to try, including their protein powders & other sport supplements, and some of their sugar substitute/sweetener options. The Better Stevia Maple looks sooo good!! This trip sounds like it was an incredible experience!! The Better Stevia is my favorite!! Try the sugarless sugar too. It works great for cooking! I love the better stevia! I went out and purchased some now essential oils today! I usually use young living but when I heard how great the now oils were I had to try them!